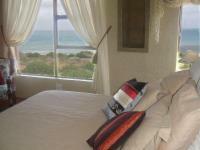 Oceanview B and B is located in Struisbaai, a stone's throw from the Southernmost Tip of Africa, next to Cape Agulhas. 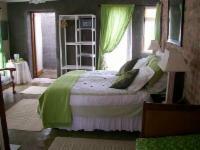 This well-appointed B and B offers a spectacular sea view, four tastefully decorated bedrooms plus the exquisite Honeymoon suite. Struisbaai is known as the best location for kite flying and offers outstanding whale watching in season, also becoming the mecca for Marlin fishing. Child friendly establishment where you can enjoy the beach and open water. Browse the rock pools and have fun fishing in the harbour. Smoking outside only in the garden patio. Romantic: I do have the Red Room specially for Honeymoon couples, full sea view, wonderful bath with a ocean view, two bathrooms, DStv, small fridge and breakfast included. Honeymoon Suite was very nice! We loved the quiet accomodation and especially all the flowers and plants surrounding the rooms. A beautiful ocean view. The accommodation fully within standards with a good breakfast.I think she has the most beautiful garden in Cape Agulhas.We certainly will pop-in during a next turn around. Very neat and tidy place. Friendly hosts. 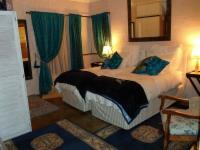 I stayed with a friend at Ocean View for two nights in Feb 2013. It was a wonderful stay. We stayed in the orange roon which was clean and tastefully decorated.Our host Serah was friendly and helpful, with info about the local area and restaurants.Breakfast was efficient and of very good quality.Would definitely recommend as excellent value for money! Ocean View B&B Cape Agulhas is 1.5km from the centre of Struisbaai , the nearest airport 186km (Cape Town International Airport).